The Sunraysia Modernisation Project (SMP) is the biggest upgrade of irrigation infrastructure in the history of the region. 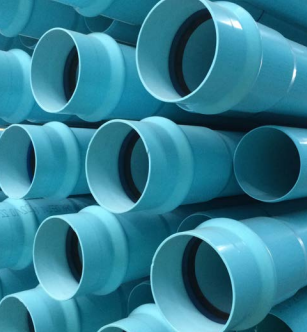 ScopePlanning, source and supply of pipe, fittings, valves and accessories. 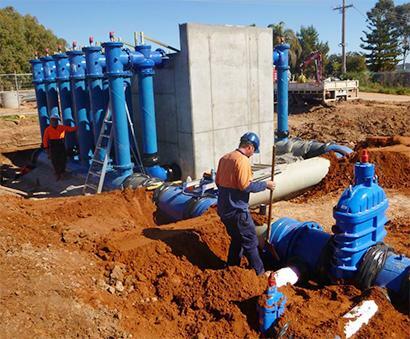 Completed in 2015, the project modernised the irrigation systems found across the Mildura, Red Cliffs and Merbein irrigation districts by replacing sections of channels with pipelines, and upgrading pump stations to meet modern irrigation practices with a total cost of $120 million. The project added value to the community through increased local spend and contributed to rejuvenating the irrigation region for years to come. We were selected due to our ability to meet strict project time constraints and the demonstrated superior quality of our Superlit GRP system. We developed an on site fabrication solution to support the installation contractor, due to an ever changing design throughout the construction. Produced fittings on site due to size constraints caused by oversize transport. Coordination with stakeholders (valve suppliers) to incorporate design requirements for flanges. Established a temporary 20,000 sq/m regional project facility in Mildura. This enabled us to actively engage with the construction team in real time to handle unanticipated site challenges, and provide flexible logistics and storage solutions when site access, program or weather changed. Added value to the local community through local spend, rent, fuel, subcontractors, labour and consumables. 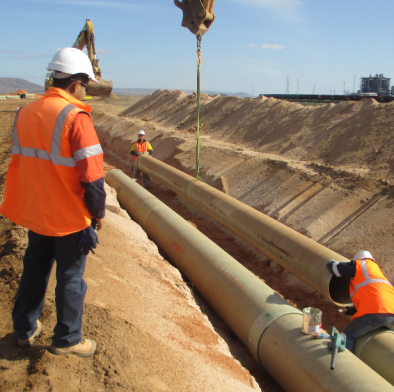 The successful delivery of the Sunraysia Modernisation Project is an excellent example of our ability to combine experience, capabilities and innovative products to deliver critical large scale projects, on time and under budget whilst exceeding all quality and design requirements. 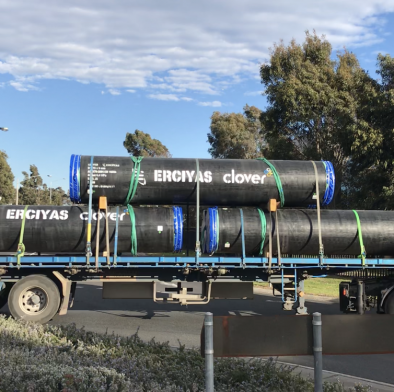 Clover was contracted to design, source and supply over 20 kilometres of Superlit GRP, PVCO, Polyethylene and mild steel pipe and fittings in sizes up to DN2000. All told, the contribution totaled over 6,000 individual pipes and fittings and accessories. 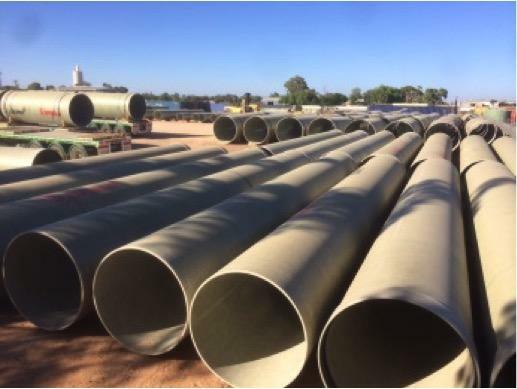 Steel pipes are the tried and true option for large scale infrastructure and construction projects such as distribution mains, and other large diameter applications. If you'd like to learn more about this project, or our product and service capabilities, get in touch with our specialised team today.